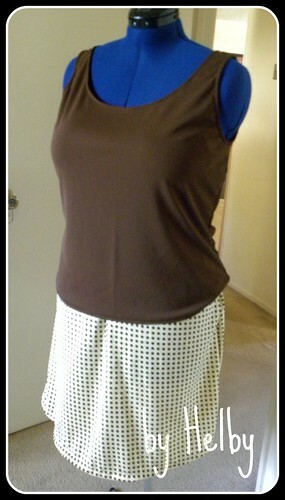 Thrown in between some items on my to-make list, I took the dat off work and spent a few hours whipping up a new outfit. And this time.... I kept patient! Normally I rush through because I'm excited to get a piece of clothing done, and then I regret it. But I took my time, and it paid off! I'm super proud of this tank and intend to make some more!